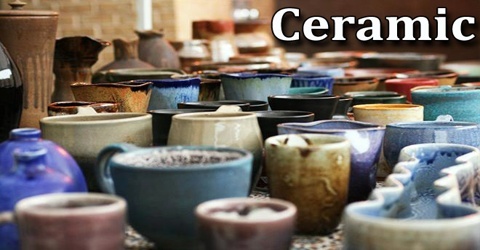 Ceramic are any of various hard, brittle, heat- and corrosion-resistant materials made typically of metallic elements combined with oxygen or with carbon, nitrogen, or sulfur. 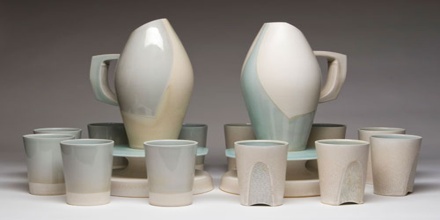 Ceramics are generally thought of as inorganic and nonmetallic solids with a range of useful properties, including very high hardness and strength, extremely high melting points, and good electrical and thermal insulation. Ceramic comes from the Greek word meaning ‘pottery’. 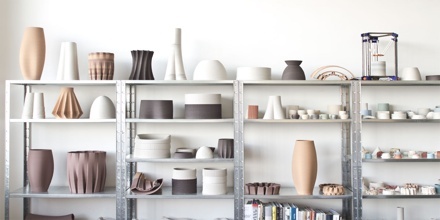 The clay-based domestic wares, art objects and building products are familiar to us all, but pottery is just one part of the ceramic world. Nowadays the term ‘ceramic’ has a more expansive meaning and includes materials like glass, advanced ceramics and some cement systems as well. Most ceramics are crystalline and are poor conductors of electricity, though some recently discovered copper-oxide ceramics are superconductors at low temperatures. 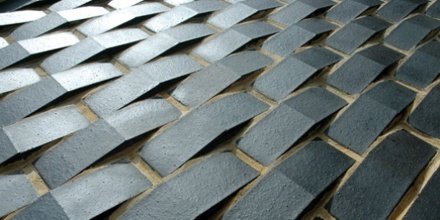 Ceramics are best known as brittle solids particularly suited for withstanding high temperatures but, in fact, the different materials used in ceramics can give them a wide range of properties. The classic properties of ceramics include durability, strength and brittleness, high electrical and thermal resistance, and an ability to withstand the damaging effects of acids, oxygen, and other chemicals because of their inertness (chemical unreactivity). But not all ceramics behave in this way. Physical properties of chemical compounds which provide evidence of chemical composition include odor, colour, volume, density (mass / volume), melting point, boiling point, heat capacity, physical form at room temperature (solid, liquid or gas), hardness, porosity, and index of refraction. Ceramography is the art and science of preparation, examination and evaluation of ceramic microstructures. Evaluation and characterization of ceramic microstructures is often implemented on similar spatial scales to that used commonly in the emerging field of nanotechnology: from tens of angstroms (A) to tens of micrometers (µm). The properties of a particular ceramic depend not just on the materials from which it is made but also on the way they are joined together—in other words, on its crystalline structure. Reference: sciencelearn.org.nz, dictionary.com, explainthatstuff.com, depts.washington.edu, wikipedia.